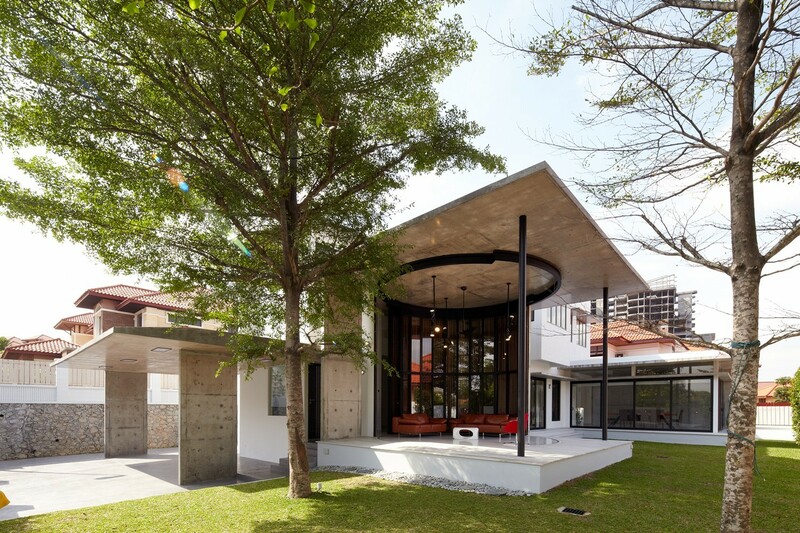 Tall umbrella trees were the inspiration behind this transforming home renovation in Kuala Lumpur, Malaysia. 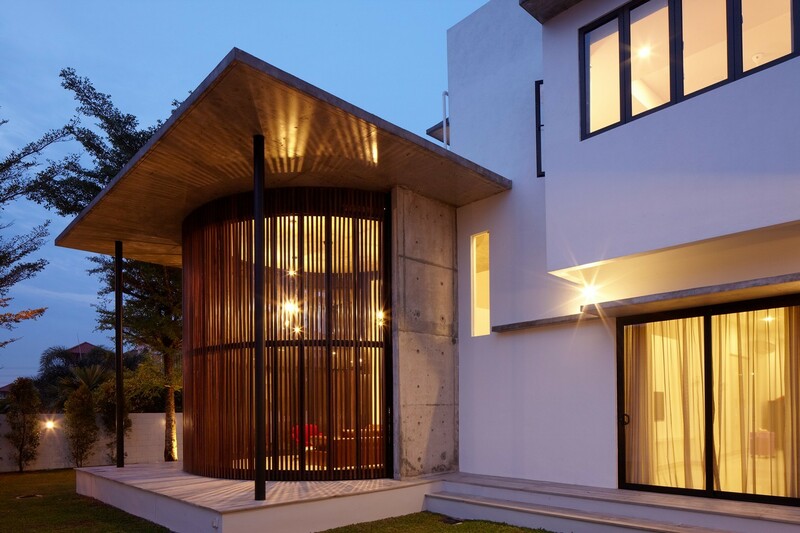 Fabian Tan Architect was asked to turn a traditional pitched roof home into a striking modern home. 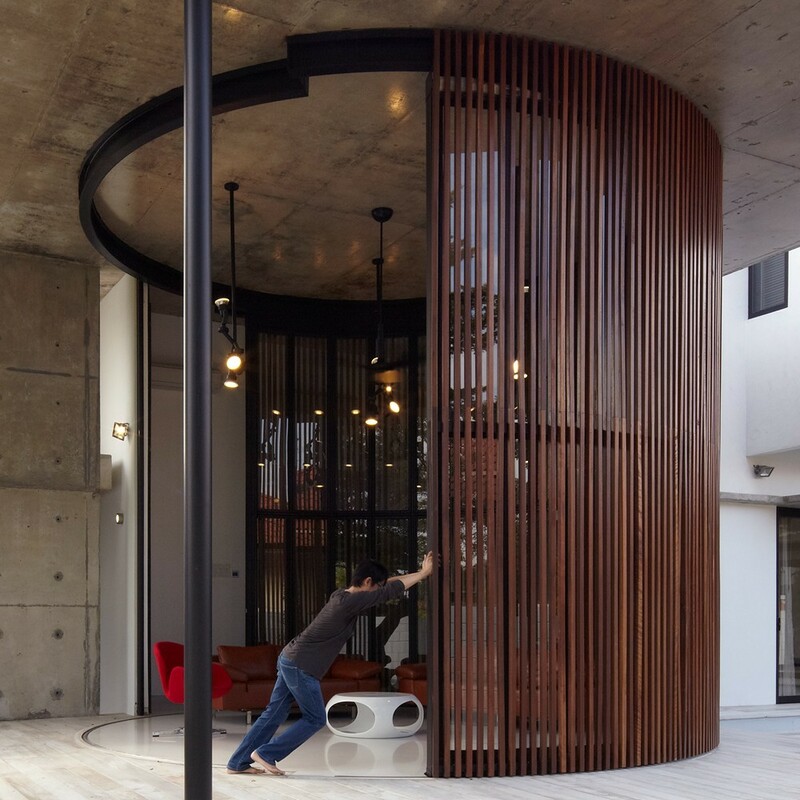 While the upstairs renovation was minimal, the transformation on the ground floor was quite dramatic thanks to the addition of a new round volume that shape shifts on demand. The architects took out many of the walls in the ground floor area, making the space airy and open. 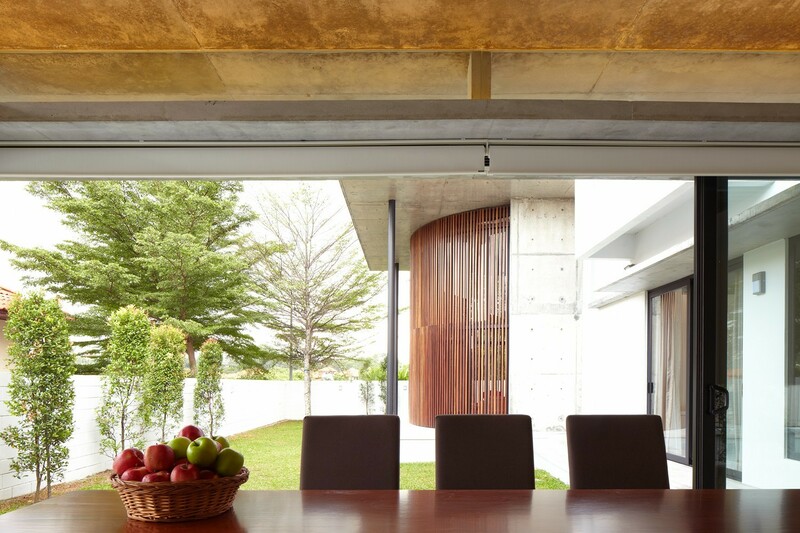 The living room extends out into an open-air space through the use of two massive sliding doors. This is how the Voila House got its name. 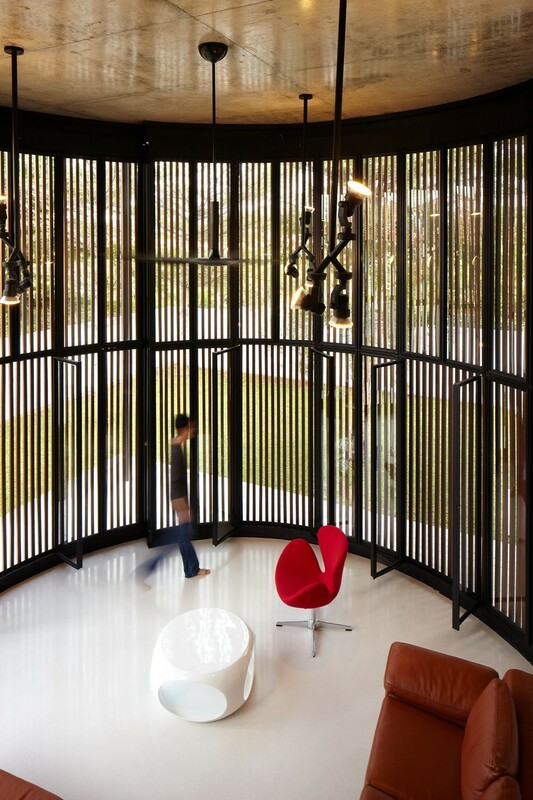 The tall doors are operated by simply pushing the tall wooden panels to one side. When the doors are open, the indoor/outdoor living room is completely open to the outdoor area. When closed, the residents have a shaded place to sit and enjoy their time together with the sun filtering through the vertical slats. 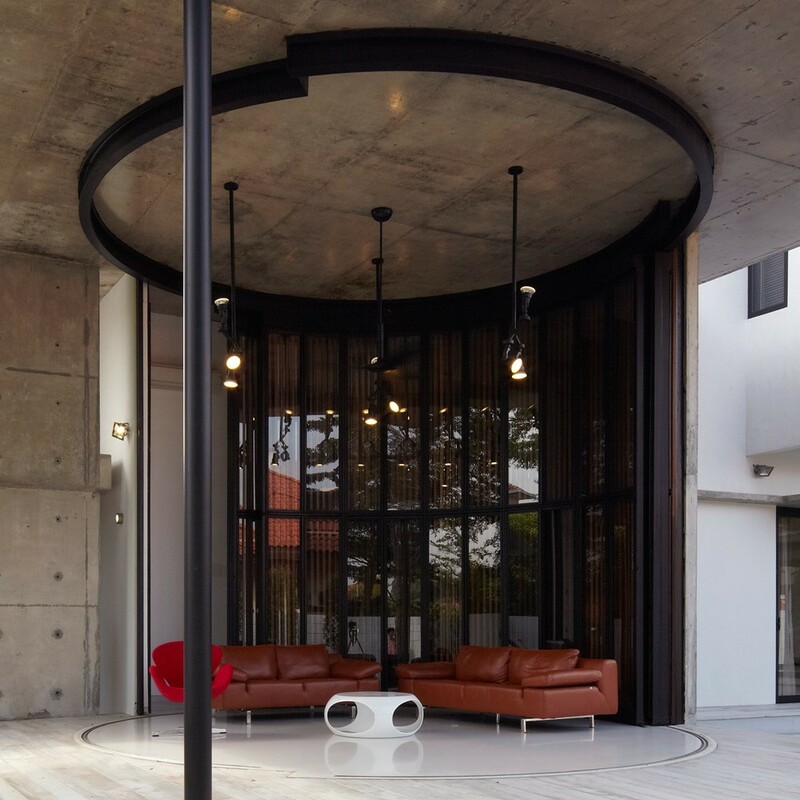 Besides the circular living room and the rectangular formal dining room – also open to the outdoors when its large glass doors are open – the first floor is one big, wide-open space. 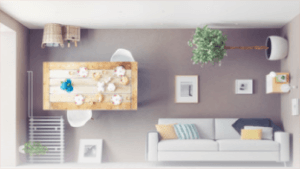 Shades of white are used extensively to let natural light bounce off of all of the surfaces and further add visual space to the home.